The Maxicare Cebu agency kickoff party was scheduled on 17 March 2016 and we had it at the function room of the Cebu Westown Lagoon along F. F. Cruz Street corner Moonlight Street at the North Reclamation Area in Mandaue City, Cebu, Central Visayas, Philippines. Like an oasis in an otherwise barren urban desert, Cebu Westown Lagoon is a refreshing waterhole in the industrial city of Mandaue in northern Metro Cebu. It is located within the MO2 Entertainment Complex and surrounded by shipping containers' storage yards, hospitals, a motel, malls, and office compounds. From the outside, it looks like an ordinary building except for a signage that screams out the name of the place. Upon entering the Cebu Westown Lagoon, the front desk is to the left while the staircase to the right leads to the second floor where the function room is situated. Beside the staircase is a koi pond. A cozy lounge greets visitors before they get into the pool area. The resort's restaurant is to the left as one enters the pool. Free tables and cottages for rent are to the extreme left of the resort. 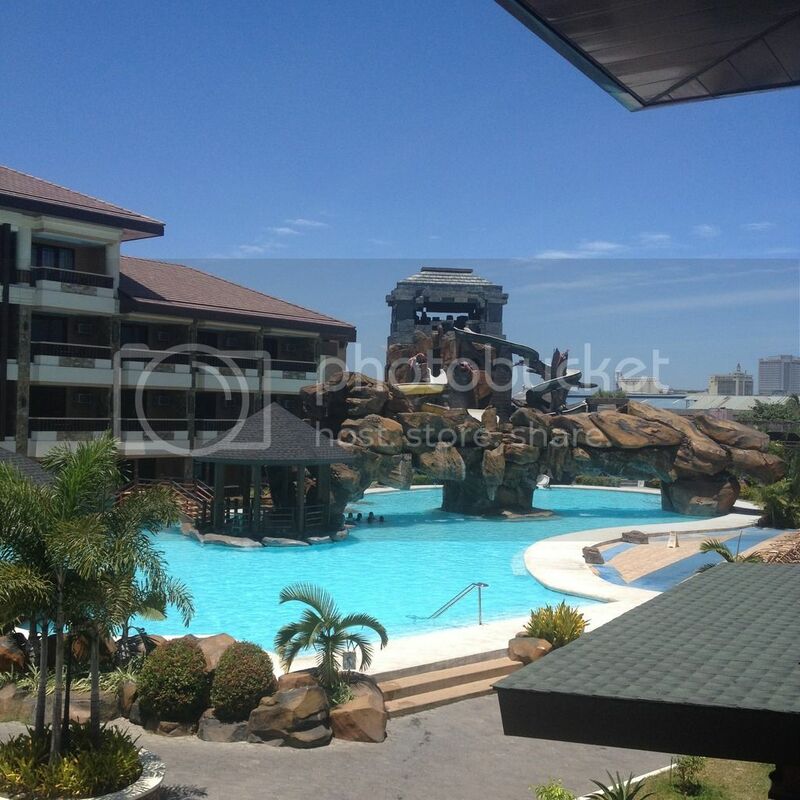 Cebu Westown Lagoon has swimming pools for both kids and adults. The adult pool has a giant slide. On a hot summer day, the swimming pool waters look really refreshing and inviting. At the far end of the resort is a hotel where guests can stay overnight. Admission to the waterpark is at PhP 300 per adult (introductory rate) and PhP 200 for kids 2 to 4 feet in height. Kids below 2 feet are not charged a fee. The waterpark is only open between 8:00 a.m. to 11:00 p.m. daily. Each ticket also has a complimentary drink. They are very strict in implementing rules specially on wearing the proper swimming attire. Gazebos can be rented for prices between PhP 600 to PhP 2,400. Rates for hotel rooms start at PhP 3,800 per night with complimentary passes for at least four (4) persons. Check-in time is 3:00 p.m. and check-out time is 12:00 noon. Major credit cards are accepted. There is no corkage charged for food and beverages except for lechon and alcoholic beverages.